Description: County map. From Drayton's 'Polyolbion' with allegorical figures. Description: Bedfordshire. A fine map of the county from the second edition of Speed's seminal atlas, 'The Theatre of Great Britaine'. Vignette of Bedford. Description: County map. Miniature map of county. Coloured. 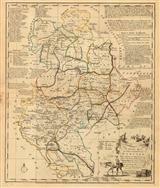 Description: Early county map with scrollwork cartouche. Coloured. Description: County map with full original hand colour. Inset coats of arms and cartouche. 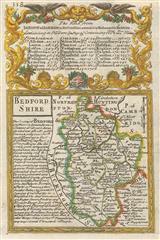 Description: County map of Bedfordshire printed at the time of the Restoration. 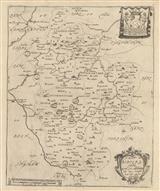 Description: Rare 1743 John Overton edition of John Speed's handsome county map of Bedfordshire. Inset town plan of Bedford. Coloured. Description: County map. Large map with decorative cartouche and notes on history of the county. Coloured. 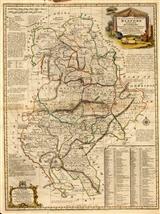 Description: Charming county map with original outline colour.